Please note that there are two Palouse IPTs in place. The first is sold out. I hope that you can join us 🙂 Card and design by Arthur Morris/BIRDS AS ART. Register now or risk missing this great trip. The Palouse A Creative Adventure/BIRDS AS ART Instructional Photo-Tour (IPT)/Eastern Washington State. June 5-9, 2015/5 Full Days: $1699/Limit 12 photographers/Openings 5; this trip is a go. Please click here and then scroll down for details. It is now just before 9:30am here on another sunny morning here at Indian Lake Estates. This post took about 3 1/2 hours to prepare. Enjoy and learn. This post marks 204 consecutive days with a new blog post. With so many folks getting in the habit of using our B&H links and our Amazon logo-links why quit now? April, May and June have been fantastic as lots of folks are getting the message; using my affiliate links does not cost you a penny and helps support my efforts here. To show your appreciation, I do ask that you use our the B&H and Amazon affiliate links on the right side of the blog for all of your purchases. Please check the availability of all photographic accessories in the BIRDS AS ART Online Store, especially Gitzo tripods, Wimberley tripod heads, and the like. We sell only what I have used and tested, and know that you can depend on. We will not sell you junk. We know the tools that you need to make creating great images easy and fun. And we are always glad to answer your gear questions via e-mail. The inaccessible switch panel…. Image created with the hand held Canon EF 100mm f/2.8L Macro IS USM lens. First off, I do not hate anything about my Canon EF 200-400mm f/4L IS USM Lens with Internal 1.4x Extender. I always opt for an overly dramatic blog post title simply to get more folks to click on the link and read a given post. As noted here previously and often, it can be the very best tool for a given photographic task. I would never be without it on an African safari. I would never be without it in the Galapagos. I would never be without it in Yellowstone National Park. I would never be without it on a Southern Oceans Expedition. 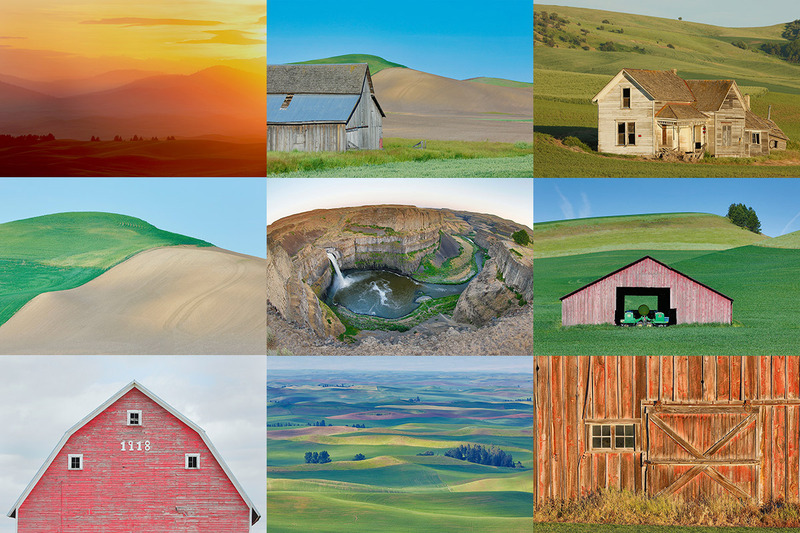 And I would never be without it in the Palouse. 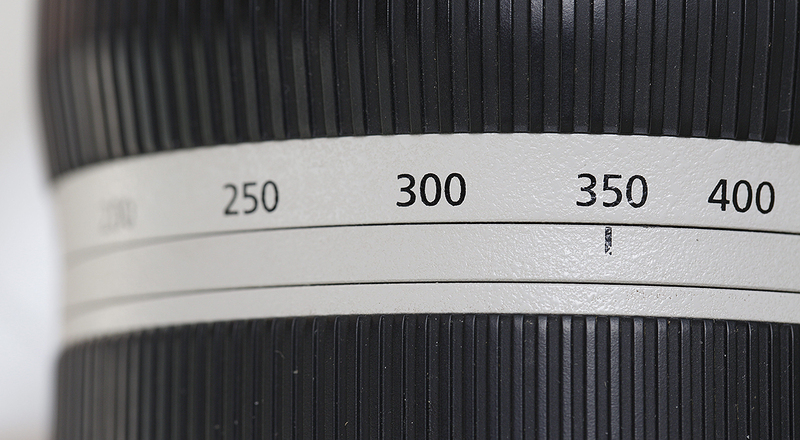 If you are new here or if you would like to learn more about the many huge positives of this lens, type “200-400 with Internal Extender” into the little white search box on the upper right of each blog page, hit Search, and follow the links. You will be quite busy. There are however two things about my 2-4 that I find challenging, more challenging than they need to have been. Bird and wildlife photography often require you to work as quickly as possible. Potential BBC-honored image moments might last only a second or two. Time spent trying to access a small, flat switch in an inaccessible location or turning the zoom ring might very cause you to miss a very special moment…. I firmly believe that when photographing birds in flight the limit range switch should be set to 6 meters to infinity so that the lens does not have to focus all the way down to the minimum focusing distance of the lens (2 meters or 6.56 feet in this case). With the switch set to far focus (as I call the 6m to infinity setting), initial focusing acquisition will be much faster than with the limit range switch set to full (as it is in the image above). When photographing birds closer to you than 6 meters (19.68 feet), you must have the limit range switch set to Full or the lens simply will not focus. So what’s my gripe? 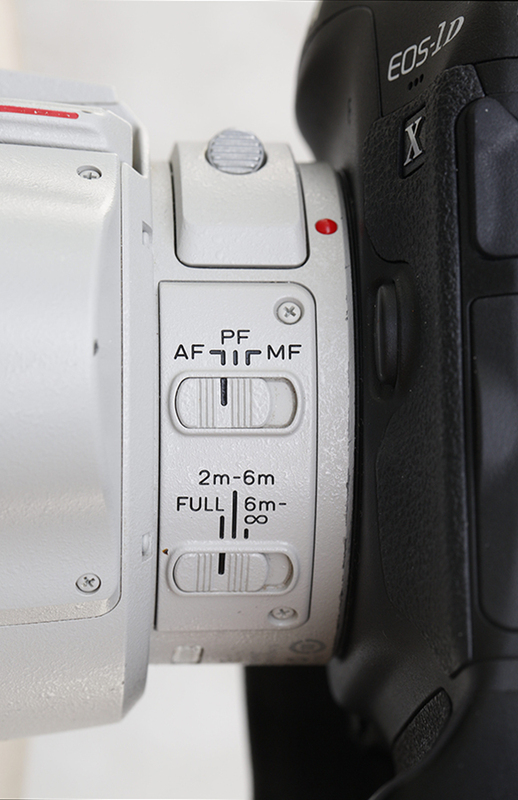 The limit range switch is located on the left side of the lens very close to the lens mount, just below the AF/MF switch. If anyone knows what PF is please do share… The limit range switch is located behind and below the housing for the internal teleconverter that is similar in size and shape to the hump on some 747 jet airliners…. In addition, the flange on the front of the camera’s battery compartment further blocks access to the limit range switch. Thus I have nicknamed this 2-switch panel the “inaccessible switch panel.” Contrast that with what I call the “accessible switch panel” located on the left side of the lens about halfway down the barrel. There you will find (from top to bottom) the Stabilizer Mode switch, the Stabilizer switch, and the Focus Preset button and switch. With the lens on a tripod, it is hard to get at the limit range switch. When hand holding it is very difficult to access the limit range switch as you need to support the lens from below with your right hand at the center of the lens barrel while moving the switch with your left hand. Due to the weight of the 200-400 this is a daunting task for some folks. Like me. Had the limit range switch been placed above the AF/MF switch it would have been a bit easier to access, but a much better solution would have been to design the lens with the limit range switch in the top position on the accessible switch panel where it would be easily and instantly accessible. If need be either one or both of the Stabilizer switches could have been moved to the inaccessible panel. I set Stabilizer Mode to 2 and rarely if ever change it. And I leave IS ON 99.99% of the time. Lastly, I propose that the limit range switch should be a raised switch like the Stablizer switch rather than a flat switch. The bottom line is that when you are working a bird at close range with the limit range switch set to full and you see a bird flying at you or you spot some relatively distant action, you need to be able to move the switch to the far (6 meter to infinity) setting almost instantly. With the 200-400 doing that is simply not possible; it is one of the two flaws in an otherwise wonderfully designed lens. A close-up look at the zoom ring. As the wide depth of field that I chose for this image seems to indicate, it is a long way from 350mm to 200mm…. The image created with the hand held Canon EF 100mm f/2.8L Macro IS USM lens. In several early evaluations of the 200-400, I wrote, “While I initially wished for a faster zoom ratio speed (more zoom with less twist of the zoom ring), I quickly learned to a: place my left hand on the zoom ring and b: anticipate and zoom to the approximate focal length that I wanted as I raised the lens.” As I got more experienced using the lens for bird photography, I learned to set the zoom ring to about the 350 setting. This makes it fairly easy to zoom in to 400mm or to zoom out to 300mm (or to 560 mm or to 320mm respectively with the internal TC engaged). Over time I came to realize that zooming in or out would be much faster and much more convenient if the lens offered a choice of zoom speed ratios. You would be able to choose the Power Zoom setting if you wanted to be able to zoom over the complete focal length range (200-400mm or 280-560mm with the internal TC engaged) or to choose Standard Zoom when you desired a finer degree of control when zooming. There are times when a bird is flying directly at me that I simply cannot zoom wide enough fast enough. Having a Power Zoom setting available would solve this problem. Hey, a guy can dream can’t he? About 7 years ago, I and several other Explorers of Light had suggested to a group of Canon lens designers and engineers that Canon add a 200-400 to their lens lineup. They do get credit for following through and for coming up with the amazing internal TC idea. In any case, I would have been thrilled to have had a chance to test a prototype of this lens for Canon but was never invited to that party. While I realize that the chance of this lens being re-designed in my lifetime is unlikely at best, if it is ever done, I hope that this blog post will serve as food for thought. Or perhaps I might be invited to field test prototypes of whatever amazing new gear exists now only on the drawing boards of the Canon engineers and designers. Your comments and questions on the 2-4 are of course welcome. Selling your used (or like-new) photo gear through the BAA Blog or via a BAA Online Bulletin is a great idea. We charge only a 5% commission. One of the more popular used gear for sale sites charges a minimum of 20% plus assorted fees! Yikes. The minimum item price here is $500 (or less for a $25 fee). If you are interested please e-mail with the words Items for Sale Info Request cut and pasted into the Subject line :). Stuff that is priced fairly–I offer free pricing advise, usually sells in no time flat. In the past two weeks, practically everything on the shelves has been sold. I am still at a loss as to how Jim Bicket’s 800 has not sold. It is a great lens in perfect condition that is more than fairly priced. B&H is asking $11,999.90 for a used one in the same condition here. Buy Jim’s lens and save $3249.90 right now! And be sure to check out the great Mongoose M3.6 package. IAC, there are several great new listings including Carl Zanoni’s immaculate 500 II, another great 400 DO, and Michael Zajac’s Canon EOS-1D Mark III, Coming soon: a 500 f/4 L IS, a 300 f/28 L IS, and an EOS-5D Mark III/24-105 kit with extras. I share all of the current listings with you below. Multiple IPT veteran and BAA friend Carl Zanoni is offering an immaculate Canon 500mm f/4L IS II USM lens in Like New condition for the ridiculously low price of $8,999. With lots of extras. The sale includes the Canon E-163B Lens Cap, a Canon Rear Lens Cap, the Canon ET-138W II Lens Hood, the Canon Hard Lens Trunk 500B, a Canon Drop-in 52mm Circular Polarizer, 2 Canon shoulder straps, a LensCoat(Realtree Max 4), a Kirk LP-55SG Quick Release Plate/Foot, the original Canon lens foot, and insured UPS Ground shipping to US addresses. The items will be shipped only after the buyer’s check clears. Please contact Carl via e-mail or by phone at 860 349 3840. This is a dream lens for all bird and wildlife photographers who do not want to deal with the bulk and weight of a 600mm lens. Save a ton as the lens sells new for $10,499.00. Joe Messina is offering a used Canon 400 DO IS USM lens in very good ++ condition for $4200. There are some minor cosmetic scratches to the finish. The lens hood is slightly out of round and is difficult to install. The sale includes an AquaTech flexible strap-on hood, a $150 value. The sale also includes the lens trunk (with key), the original leather hood, and a hard plastic lens cap. The seller will pay insured UPS shipping within continental US. The lens will ship after the check clears. Please contact Joe via e-mail or by phone at 415-563-6577. If you are looking for a fast, lightweight, hand holdable telephoto lens, this is the lens for you. Learn a ton more about the 400 DO here and see lots of 400 DO images by visiting the “The Canon 400mm f/4 IS DO Lens: Fourteen Images that Prove that the Internet Experts are (As Usual) Idiots” blog post here. The lens sells new at B&H for $6499.00. John Stuhlmuller is offering a used Mongoose M3.5 tripod head that has been upgraded to an M3.6 (approximate value $550). The only differences between a refurbished M3.5 and a new M3.6 is the internal finish of several parts. Otherwise, it functions as an M3.6, the head I have used and depended on for nearly a decade. The sale includes an installed Horizontal Low Mount Arm (sells new for $90), the Integrated Flash Arm (sells new for $110), a CR-X5 plate, the low foot for the four Series II Canon Super-Telephoto lenses and teh 200-400 (sells for $122 new), a CP16 lens plate for B-tripod ring lenses like the Canon 70-200mm f/2.8L IS (sells for $75 new). There are some minor scratches on the top of the mounting clamp. Otherwise, there are no other signs of wear and the head works perfectly. John prefers his Wimberley V2 head. The package is valued at approximately $947. The cost of insured ground shipping to US addresses is included. Sale price: $630. Save $300+. Contact John via e-mail. Photos available upon request. This great lens, my favorite for 3 years, sells new at B&H for $13,999.00. B&H is asking $11,999.90 for a used one in the same condition as Jim’s here. Buy Jim’s lens and save $3249.90 right now! It will save you a ton of dough and you will have a super-sharp lens with lots of reach. And it works great with a 1.4X TC too. my ‘gripe’ about the zoom ring is that it is forward to the focus ring- exactly opposite of my 70-200, so i often turn the focus ring to zoom instead of the zoom ring! but i LOVE this lens and have resigned myself to the fact that i need to train my “muscle memory” to reach for the zoom ring while looking through the view finder until it becomes second nature. I find the location a pain even with an external TC added. As for the swapped zoom ring, I never really noticed that on the 2-4. But when I borrowed a 70-300 for Norway that same issue got me nuts. I was focusing when I thought that I was zooming…. Here’s what I did to solve that problem: every time that I raised the lens I looked down at the lens barrel and consciously placed my left hand on the zoom ring. Thanks for your vote of confidence! I will try your suggestion with hand placement on the zoom before shooting. You are right, the more I use the lens, the more I will get used to the zoom ring placement. Artie, the web site here has info on the PF setting. It states that two speeds are available, and these are selected by the amount of rotation that’s applied to the focus preset ring. Thanks a stack John. That is the best info that I have seen. Not sure though if it the amount of rotation or, as I have seen elsewhere, the direction of the rotation of the preset ring…. Arte, I`m not sure if this is what you`re referring to because I can`t find anything else in reference to the , “PF”. “Power Focus” Mode Using the playback ring, the Power Focus mode enables smooth, automatic focus shifts which are essential when using the EF 200-400mm f/4 for filmmaking. There are two speeds available in Power Focus Mode. That sounds right Edward. Thanks. Any idea how folks would access the two different speeds? The direction the ring is rotated determines the direction of focus distance change. Turning the ring also imparts motion in the camera and lens combination unless you are very careful or, better, have a very solid tripod setup. The feature works nicely (and quietly), but I doubt I’ll ever use it.